“What do you mean you lost them!” Vic screamed at Argmon. Argmon put a strong arm against Vic’s chest and pushed him back into his seat. They had to be. Vic couldn’t stand the thought that perhaps Mike had just killed both June and Joey. Had Mike planned all this? How long had he been planning this? He’d obviously been in communication with someone outside the ship. Who? Not only who, but why? Who would want to be spying on the SS Acid Rat? It just didn’t make any sense. Vic shook his head. He needed to focus on finding June and Joey. A lot of space stood between the two ships and the small cruiser’s black surface would make a visual search impossible as its stealth surface would make active radar just as impossible. “How are we going to find them?” Vic demanded of Argmon. A blinking light appeared on the ship’s console. Argmon pressed it and the Iron Butterfly’s, disguised as the Acid Rat’s, coordinates appeared. Argmon didn’t respond, instead hitting the controls and speeding to June and Joey’s location. Vic got up. His mind reeled. Still he was affected by the poison. Weak though he was, he still rushed back to the cargo bay. He had to get all the doors inside the ship closed. The kitchen and his quarters were easy enough. A touch of a button and the doors swished closed. Same for the lounge and the crew’s quarters. “Dexter!” Maybe Dexter could help out. “Eep! Eep! Eep!” Dexter shouted from the cargo bay floor. Dexter ran off like a shot. It never ceased to amaze Vic just how quick the tri-ped could move. Pain encased Vic’s upper body. It hurt to move and he collapsed to the floor. He fished in his pocket for a dose of anti-venom. June had already given him a good amount and he’d ignored his body’s need for more as long as he could. He’d become too consumed first with getting away, now with getting back to pick up June and Joey. Vic heard the engineering door close as well as the weapons room door. If he’d been able to, he would have opened up Tootsie’s main panel and started entering in the code to magnetically seal off the rest of the ship and open the doors, but he couldn’t even get the dose to his mouth; a mouth that had gone so dry, he wasn’t even sure he’d be able to swallow it. “Dex,” he wheezed. His voice had all but stopped working. He had to take the dose. He had to get up and open the doors. June and Joey were trapped with Mike inside their ship. But what if Mike had taken over the ship? What if they got the cruiser back on board only to find Mike? Would Dexter be able to take him out a second time? Would Argmon be able to fight him? Argmon’s barking issued a warning over the ship’s speakers. They were being followed. The police cruiser was back. Vic no longer had a choice. He had to act quickly. With no more thought, he dropped the dose to the floor and fell face first on it. He sucked and licked at the floor until the dose entered his mouth and he forced himself to swallow it. His body twitched and convulsed and three times he hit his head on the deck. Still shaking, Vic raised up to his hands and knees. If June and Joey were transmitting, then it was certain the police cruiser would head for them first. Its target from the onset had been the Acid Rat. Vic had to get there first. He must. It was his fault they were all there in the first place. If anyone had it upon their shoulders to save everyone, it was him. Vic pawed at the wall to find anything to hold onto. They defied him and he found himself flat on the floor again. The anti-venom didn’t work fast enough. Again he convulsed on the floor. He felt as if he would vomit, but he steeled his body and rose to his hands and knees again. He rocked back and forth until he sat up on his feet. From his kneeling position he found the access panel. Vic opened the panel and used the door and all his strength to pull himself up. In order to stay standing, he had to place his head against the wall. The buttons came in and out of focus, but Vic knew the sequence. Didn’t he? Suddenly the buttons made no sense. The anti-venom pushed his eyes closed. “No,” he said through gritted teeth and lowered his head nearer the panel. He entered the sequence to activate the ship’s magnetic field. Good. Dexter was safely away. 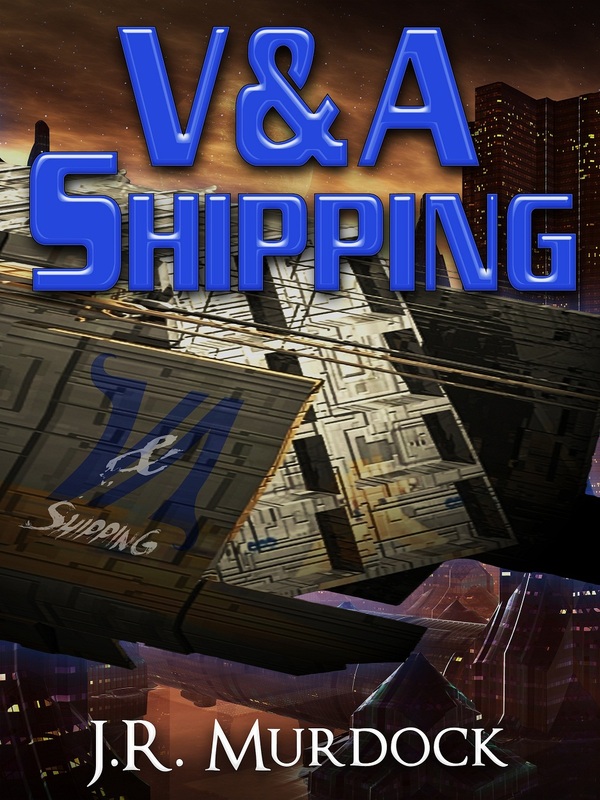 Once again Vic lowered his head toward the panel and entered the sequence to open the cargo bay doors. When he pressed the last button, all lights inside the ship went out and a soft glow emanated from the cargo bay. Flashing lights displayed the warning and air started to rush out. Parts of SPX-39 disappeared into space along with the escaping air. Vic felt bad that he’d never get a chance to fix the robot. With a hard thump, Vic fell to the floor, but remained sitting up. His head weaved and bobbed, but he stayed awake long enough to see the Iron Butterfly descend into the cargo bay. God I hope you two are alright. Vic passed out. Posted on March 3, 2013, in V&A Shipping and tagged chapter, read along, v&A shipping. Bookmark the permalink. Leave a comment.